From a young age, television personality Mercy Simbi never wanted to become anything else, but a journalist. Describing herself as the loudest in her family, she recalls that whenever there was something to be communicated to the whole family, her father would delegate her. Mercy even accompanied her father to different courtrooms to listen to court cases. She later wrote and read them to him. “He would critique my reports and guide me on how to improve my writing,” she explains. From secondary school in 2003, she enrolled with the Malawi Institute of Journalism (MIJ) where she attained her journalism certificate. She proceeded to the Malawi Polytechnic for her diploma. Mercy later went to read for her degree in journalism at the Blantyre International University (BIU) which she obtained in 2014. She is now the executive director and executive producer of Applied Development Communication and Training Services (Adecots), implementing a number of projects with national and international organisations. Says Mercy: “In 2011, the National Aids Commission (NAC) gave me the opportunity to train in social and behaviour change communication with 13 other individuals from different organisations. The programmes I produce and present help to change attitudes, perceptions and behaviours; and popularise the benefits of adopting life-saving habits. “My programmes embody different social behaviour change models and principles to educate the ordinary person on developmental issues without making people feel they are in class. Her shows present stories of real people struggling with everyday life challenges and choices her audiences relate with. Adecots, whose operations started in October 2014, aims at helping Malawians make life-saving decisions through healthy habits and behaviour. After seven years in employment, Mercy decided to take up new challenges by becoming an employer and not an employee. “In June 2014 when my contract expired, I declined to sign a new one and I left the Story Workshop Education Trust. With just one computer and a recorder I got from the United States Embassy as prizes for winning Media Institute of Southern Africa (Misa) Malawi Talk Show Host of the year 2013, we launched Adecots in a tiny room with just one table and one chair. Now we have state of the art digital studios. We grew and got on board a few equally strong-minded young people who help drive the organisation forward,” she explains. Adecots has 23 volunteer field producers in 20 districts of Malawi. In its four years of operations, Adecots has worked for and with different international and local organisations including United States Agency for International Development (Usaid), Save the Children International, Jhipiego, United Purpose [formally Concern Universal], Southern Aids Trust, Theatre for a Change, Blantyre Synod Health and Development Commission and FHI360. “The campaign pledged to reward everyone that reported those responsible for the pilferage of drugs funded by the Usaid. from government hospitals. As a result of the radio campaign through the Moyo ndi Mpamba programme, thousands of people called the toll-free numbers provided, to report the mischievous and unscrupulous health workers; and shop owners,” Mercy explains. “Adecots’s campaign persuaded and positively influenced its audience to own the campaign. As an organisation, we use the same strategies to make people own, not only the radio programme, but their health, their families’ and communities,” she says. Her organisation also successfully contributed to the repeal of the Rogue and Vagabond laws in Malawi as it led a media advocacy campaign for the Centre for Human Rights Education Advice and Assistance (CHREAA) in 2015-16. Sixth born in a family of eight, Mercy says she has always been a happy person. “I grew up a happy child both in times of need and plenty. I have always been contented with what I have while striving for better. I was born when my father was about to retire from his employment and he lost everything soon afterwards,” she explains. She confesses that her father drove and spurred her on with words of motivation. “It was always inspirational to be around him. He believed in my abilities and encouraged me to raise my aspirations high. He told me that the poverty I grew up in was not my own, but his and that if I worked harder, I would only have to endure 16 years of inherited poverty during which I could work to walk out of it. I grew up hearing his voice wherever I went. “I have always hustled, doing piece works to meet my needs. My father instilled in me the spirit of hard work, patience, fortitude and resilience,” she says. Looking to her future, Mercy sees herself studying for a Masters Degree in behaviour change communication and later a doctorate in communications. 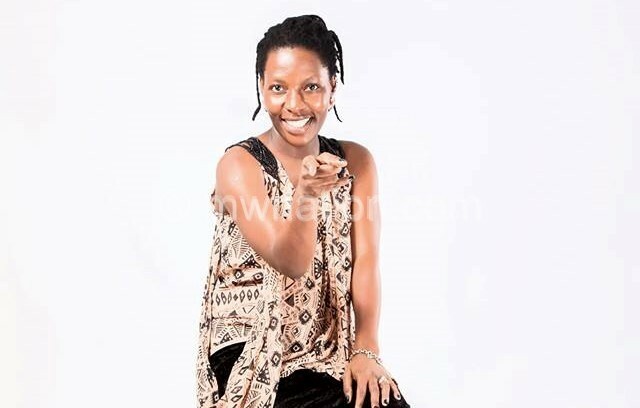 In addition, she says plans are at an advanced stage to pilot the Mercy Simbi Television Talk show. As for hobbies, she points out that over the years hers have changed she is more into adventures now. “I love travelling and sightseeing, singing out loud when I am driving although my husband thinks my singing is not for public consumption. “I like style and following new fashion trends through watching fashion and design channels on television. I design some of my own clothes. I love listening to people’s stories and watching a lot of reality television and movies,” she says. Born on January 6 in the early 1980s, Mercy comes from Zigodo Village in Enukweni, Mzimba. 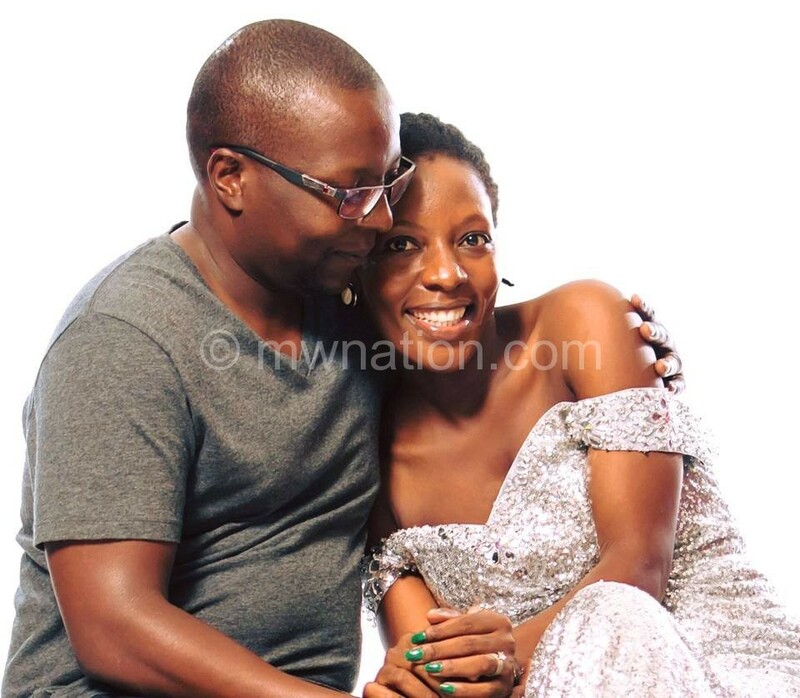 She is married to creative writer Charles Simbi.